idAmerica recently released a new design in its Cushi protective case series for iPhone 5/5s. If you like the blend of natural flag and iconic symbol, the Flag Cushi iPhone 5s case should be able to catch your eyes. The Flag Cushi is a well-designed form-fitting and padded protective case designed for iPhone 5 and iPhone 5s. As shown in the images, the iPhone 5 case features an eye-catching design on the back cover that shows you a unique combination of a natural flag and iconic traditional culture from the country. Moreover, the cushioned back cover has been integrated with an elegant metallic hard shell case in order to provide a stylish and reliable way to protect your iPhone 5/5s from bumps and scratches. Apart from that, custom cutouts let you easily access to all iPhone buttons and ports. 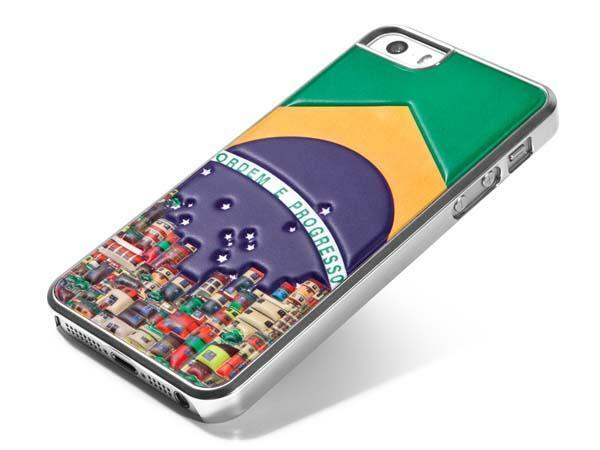 The Flag Cushi iPhone 5s case comes in 8 different designs, each one is priced at $19.95 USD. If you’re interested, jump to idAmerica official site for more details. Additionally, if you need other options you might like to check Puni Puni iPhone 5s case and more via “iPhone 5 case” tag.